From the pyramids of Teotihuacan to One World Trade, here are the tallest buildings of the last 5,000 years. 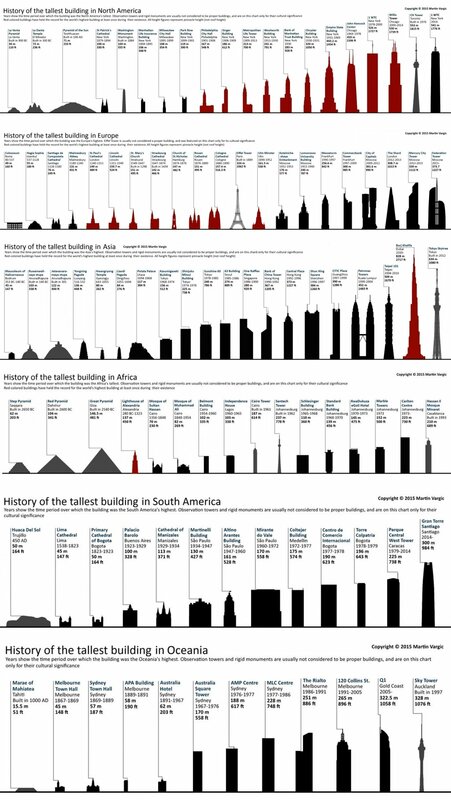 Slovakian artist and designer Martin Vargic created six infographics that chart the history of buildings across Europe, North America, Asia, Africa, South America and Oceania. The infographics, which date buildings (and a few notable monuments) as far back as 2,650 B.C., give a pretty complete look, highlighting the construction’s name, shape, height (which does account for a tower’s spire), the year it was erected, and the years it was its continent’s, if not the world’s (denoted by a red shading), tallest building. 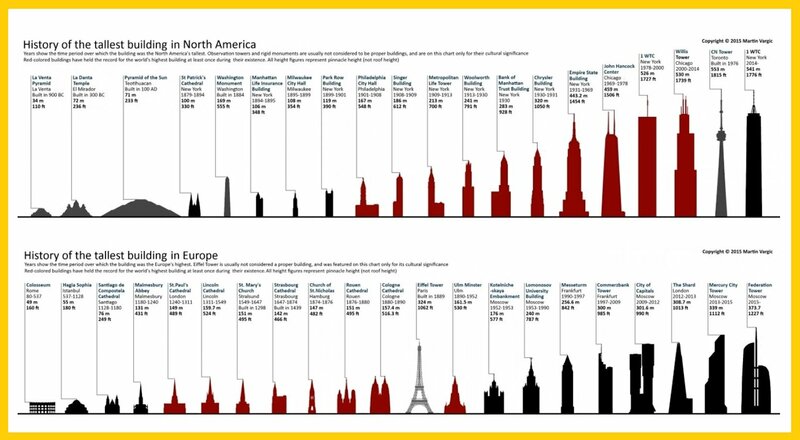 The charts also give a good snapshot of the great skyscraper race that took hold in the early 20th century, as well as shifts in global money as seen in the emergence of Asian skyscrapers like Taipei 101 and the Burj Khalifa in the mid-2000s. You can get a closer look by expanding the image ahead. More of Martin Vargic’s projects can be found here.